Pierce potato with fork and place on center rack of oven until tender. About 45-60min. Keep oven on after removing cooked potatoes. Places skins into a small baking dish and stuff with the potato mixture. Bake stuffed potatoes for 15 minutes. To serve, top each potato half with portioned, remaining yogurt. 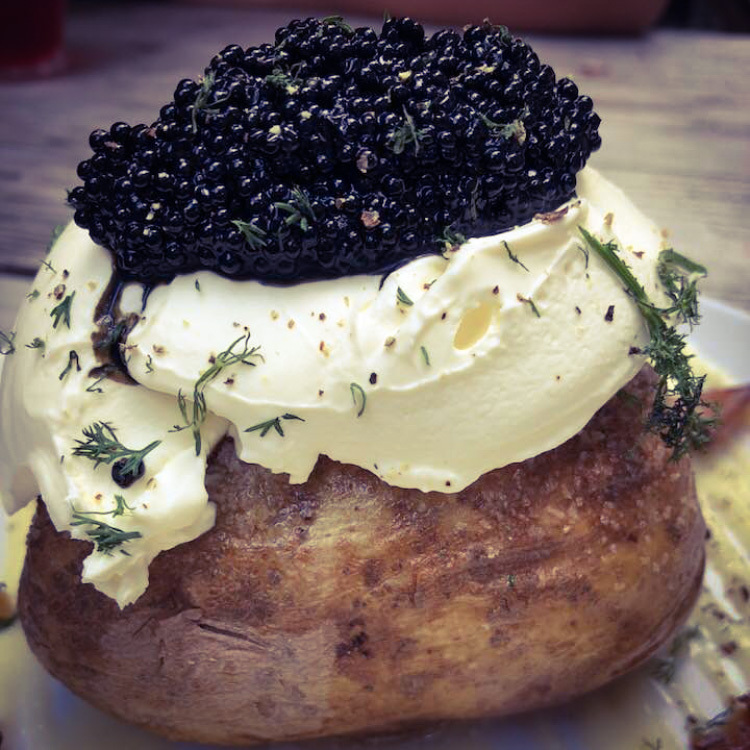 Add generous helping of Pearl Street Caviar and garnish with parsley and dill.